that bears the authentic stamp of South-Africa. held the Marico in high esteem. He wrote many wonderful stories full of humour about the Marico and its people. in the Republic of South-Africa. 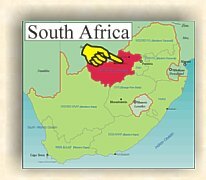 Towns located in this area are: Zeerust, Swartruggens, Groot-Marico and Nietverdiend. The town Groot-Marico (it means Big-Marico) is named after the Groot-Marico river, one of the few perennial rivers in this area. The name has got nothing to do with the size of the town, which is very small. Groot-Marico is well known for its beautiful African bushveld surroundings and the special kind of hospitality of its people. It is the ideal place to come to when you want to escape the hustle and bustle of the city life. We invite you to come and experience the spirit and hospitality of the Marico firsthand! 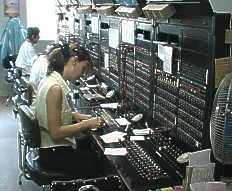 to an automatic telephone exchange. now it is a pleasure! Greetings from the Groot Marico – lovely green and lush after good rains. I hope that your diary for 2017 is not too full with work and commitments and that you love yourself enough to take a break and plan it now, before everything gets too hectic. Naturally we want you to consider a visit to the Groot Marico, because we have absolute faith in the rejuvenating and healing qualities of this place ... did not the writer H C Bosman says ..
Mampoer and story and historical tours for groups can be arranged at any time . If you need more information on any of the above - just ask and we will let you have more details. Greetings to you , hope to see you in the Marico this year and take care! Contact Santa at the Information Centre info@marico.co.za or 083 272 2958 or 014 503 0085 for information and bookings. Weekend and day outings for specific interest groups can be arranged. on any of the above mentioned activities. 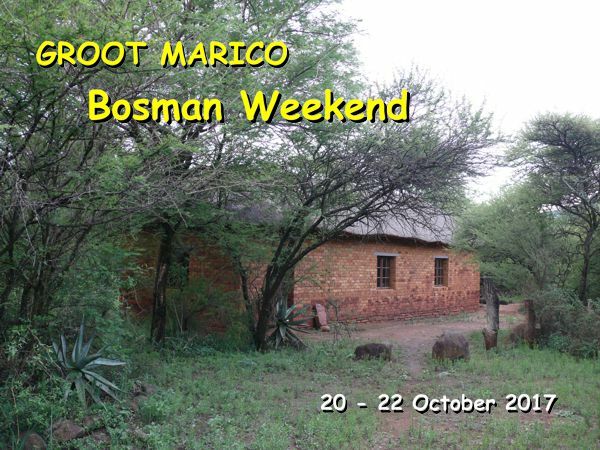 Make Groot-Marico your next weekend Bushveld destination. Only two hours away from Gauteng. Traditional Village Tour to introduce you to the attractions of our rich natural environment and cultural and historical diversity. We also design tours for School Groups and Special Interest Groups. 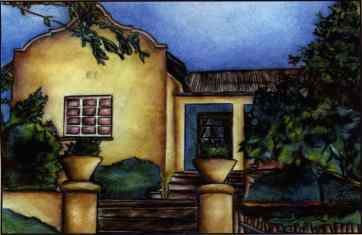 Home of the Herman Charles Bosman Literary Society. behind high stone walls which was build by the Italian prisoners of war during the Second World War. Degrees, Minutes, Seconds: S 25°35'43.37", E 26°24'49.01"
we make no warranties as to the completeness or accuracy of such information.